Our beloved mother, Virginia Mary Slikkers, age 96, of Zellwood, Florida, went to sleep in Jesus Thursday, December 13, 2018. Virginia was a loving wife, mother, grandmother, and great-grandmother. 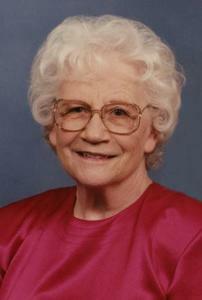 She deeply loved her children, grandchildren, and great-grandchildren and prayed for them regularly. Virginia was a lifelong member of the Seventh-day Adventist Church. She was preceded in death by her husband of 62 years, Gerald, in 2005. Patricia and John Pawson of Zellwood, Florida, and Randall and Elaine Slikkers of Holland; Six grandchildren, Michelle Slikkers Hubbell, Meredith Slikkers, Jonathan and Tobi Pawson, Christopher and Tiffany Pawson, Ingrid and Erik Brown, Erica and David Griessel; Nine great-grandchildren, Kate, Emma, Nelson, and Colin Hubbell; Sean Ryan, Meaghan, and Ian Pawson; Emma and Jenna Brown; sisters-in-law and brother-in-law: Barbara Bartz of Florida, Jean Brummett of Idaho, and Leon Slikkers of Holland. Visitation will be Wednesday, December 19, 2018 from 6-8 pm at the Dykstra Funeral Home - Mulder Chapel, 188 West 32nd Street in Holland.